Is it possible to give over all the fighter jets of the world to such humanitarian bodies as the Red Cross and Red Crescent societies and stop killing people for a few years? Or is it just a dream? Here in the IFP, we usually do not write comments or articles. Our job is to cover the reports and comments published by Iranian media on the most recent developments in the world. This is how we introduce Iran and the Iranians to non-Iranians! However, we are sometimes tempted to write. It is like having a lump in our throat. We feel like we should shout, or else we would not get rid of it. We are living in the Middle East, the region of war and crisis. However, in an amazing and admirable way, Iran is stable and its people live in peace. In a country where citizens are upset by the huge number of people killed in car accidents, and the media keep urging its officials to do something about the dangerous roads and improve the traffic problem, one should be happy that everything is so simple, and no one talks about getting killed by a skilled shooter or a bomb explosion! Nevertheless, Iran has paid the price for its position in the Middle East and its oil reserves: it has had the horrible experience of an eight-year war whose memories still linger in people’s minds, especially when funerals are held every now and then for the newly-excavated bones and dog tags of soldiers. To these people, fighter jets – whether a MiG-29, a French-made Mirage, an F-4 or F-5 or F-14, and so on – just bombard and kill innocent people, and are of no other use. Now, something strange has happened; something that tempts one to write, even if it seems more like a dream. Is it possible to give over all fighter jets to such organizations as the Red Cross or Red Crescent, the Doctors without Borders (MSF), and the like, and stop killing people for a few years? Saving a human’s life using an F-16 fighter jet might be a meaningful incident under the current situation in the world; in an era when fighter planes in Syria, Yemen, and Libya are competing with each other for killing more people, oh my God, is it possible for an F-16 to save a man’s life? Is it for real or is it just a dream? I do not at all want to wake up and hear someone saying that the location of operation and the patient’s nationality matter! These planes are built to kill you and your siblings! Do not think wishfully! But no, that is a lie. All human beings are like each other. Nations are not the enemy of each other. Religion is a means of kindness and flexibility. People of the Middle East, Africa, Europe, America, etc. are not hostile to each other. They have no enemy more savage than ignorant rulers. I fell asleep with the roar of a fighter jet. Isn’t it strange? I am not at all ready to hear Donald Trump’s voice. Trumps are like each other everywhere in the world. I do not want to wake up, even if the price is to remain asleep forever. 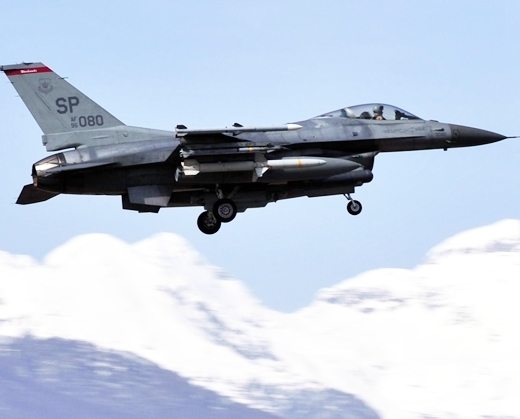 A critically ill patient’s life was saved after an F-16 fighter jet was used to rush specialised medical equipment halfway across Norway in less than half an hour, according to a report by the Independent. 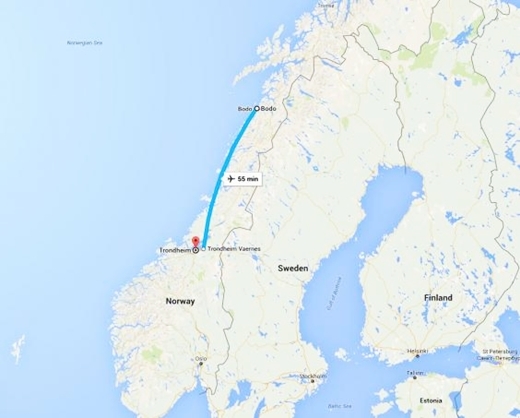 Doctors knew the closest one available was at a hospital in Trondheim, 280 miles to the south. A 10-hour journey by car, they feared the man would die before it could arrive. Therefore, after a moment of inspiration, they decided to contact an air force base near Trondheim to ask if there was any hope of getting the equipment to Bodø in time to save the patient, whose precise condition was unclear. Within 40 minutes of the call being received, the medical equipment had been delivered to the hospital in Bodø.